As promised, we are back to tell you more about all the awesome features WebWork Time Tracker has to offer. 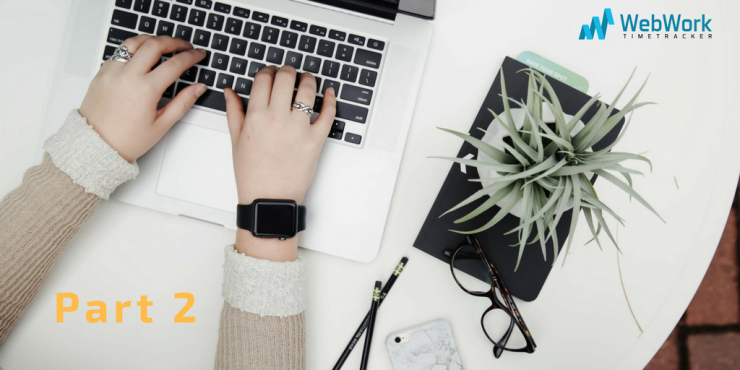 In the first part of this article, we have discussed about Tracking Time, Capturing Screenshots, Tracking Activity Levels, and Adding Manual Time with WebWork. 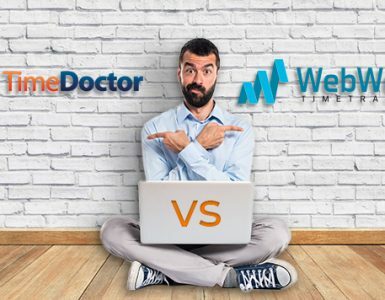 Now, it is time for the next 3 very important and practical things you can do with WebWork Time Tracker. Ready? Let’s go! Have you ever caught yourself in the middle of reading a super interesting article or watching a fun YouTube video while you were supposed to work at the time? We know you have! It is not a sin! It is just a productivity killer, you know? That’s why you will love this feature of WebWork: Active Window Monitoring. It records all the applications and websites you have used while tracking time with WebWork and generates all the information in the Active Window Report. From the Active Window Report, you can then access all that information, along with real numbers of how much time has been wasted on each of those websites and applications. What a great way to monitor and evaluate your working efficiency and productivity, right? Of course! You can track your working time on billable contracts and generate invoices based on the preset billable hourly rates for those contracts. Then, sending those invoices to your clients or partners would be at your most convenience. 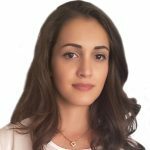 How to generate an invoice? 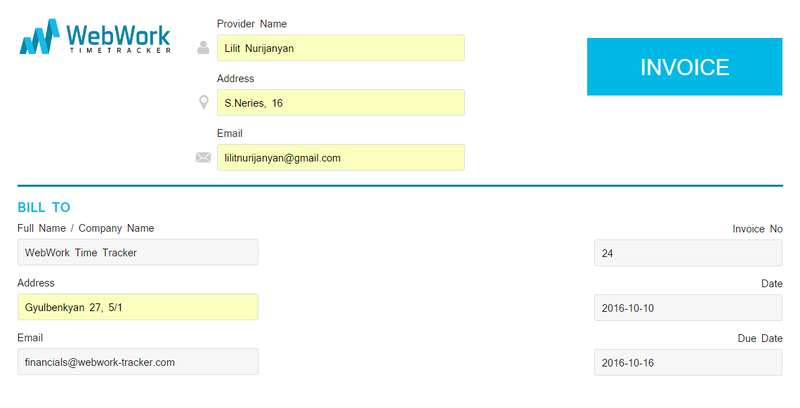 Select the Projects and Users of your choice to generate the right invoice. Mark any combination of the options listed under “Generate by”: Project, User, Activity. Generating by Project will allow you to see your projects and the amount due on each of them. Generating by User will allow you to see your name only and the amount your clients will need to pay on all contracts and projects, based on preset hourly rates. Generating by Activity will allow you to see all Activity Descriptions of your projects and their due amounts. This all refers to all User Types, only with different standpoints, if you know what we mean! Set a date of the Invoice. Now, you will need to fill in all the required information on Invoice Provider, “Bill to” details, Invoice number, date range of the provided invoice and even upload your company’s logo (if you have one). 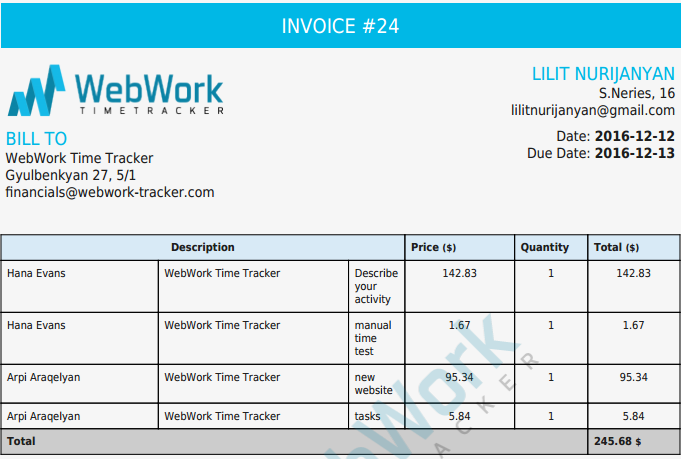 Here is how your generated invoice will look like! Cool, huh? Just make sure to check everything is correct on the invoice, and then download it to send to your clients/partners via email or simply print it out. The ability of accessing and exporting online reports on your activities is just one of the great advantages of using WebWork to track your working time. 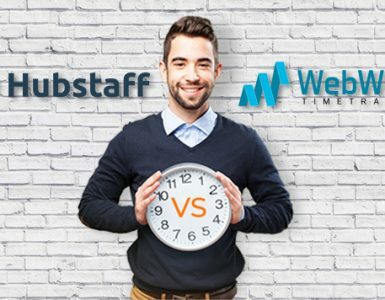 Well structured and extremely accurate timesheet reports are always your friends with WebWork. Just go ahead to Timesheet Reports and access your daily, weekly and monthly online reports with no fuss. WebWork has all it takes for you to monitor your own working process, analyze the gathered data on it, to improve upon it for your own good! You can filter the reports by users, projects, project tags or user groups and then by days, by weeks and by months. 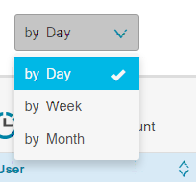 Setting a date range through the calendar is also an option. Not much of a fan of data-rich timesheets? No worries! 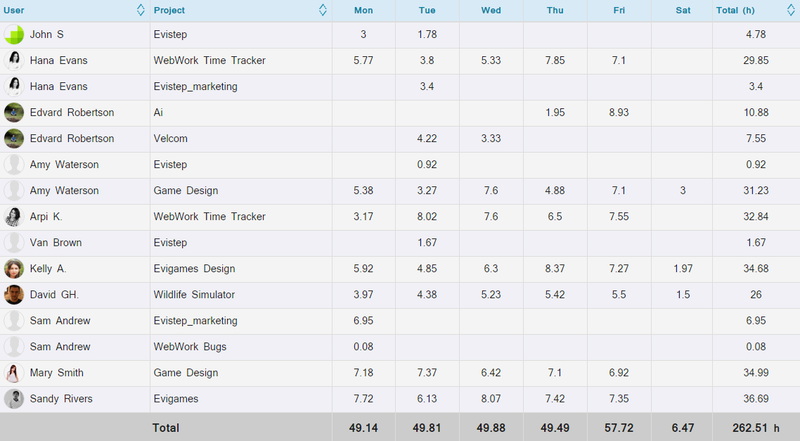 You can go to Statistics Report to access the same Timesheet data in graphs: Pie, Line and Bar. Wondering how you would export all those ready-made reports? Well, well! You can export the Timesheet Reports in XLS and CSV, and the Statistics Reports in PDF. There it was! 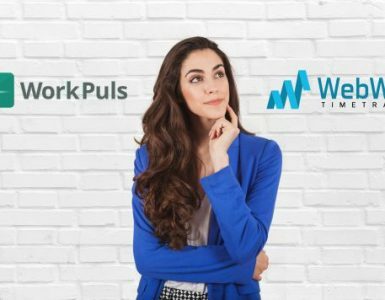 3 practical and convenient features WebWork Time Tracker has for you, to make your Time Tracking experience a great one. Enjoy!